Many people have requested some of my illuminated star shadow boxes in a square format to put in wooden frames. I understand the desire to create a lasting keepsake and having it behind glass in a wooden frame helps a lot. 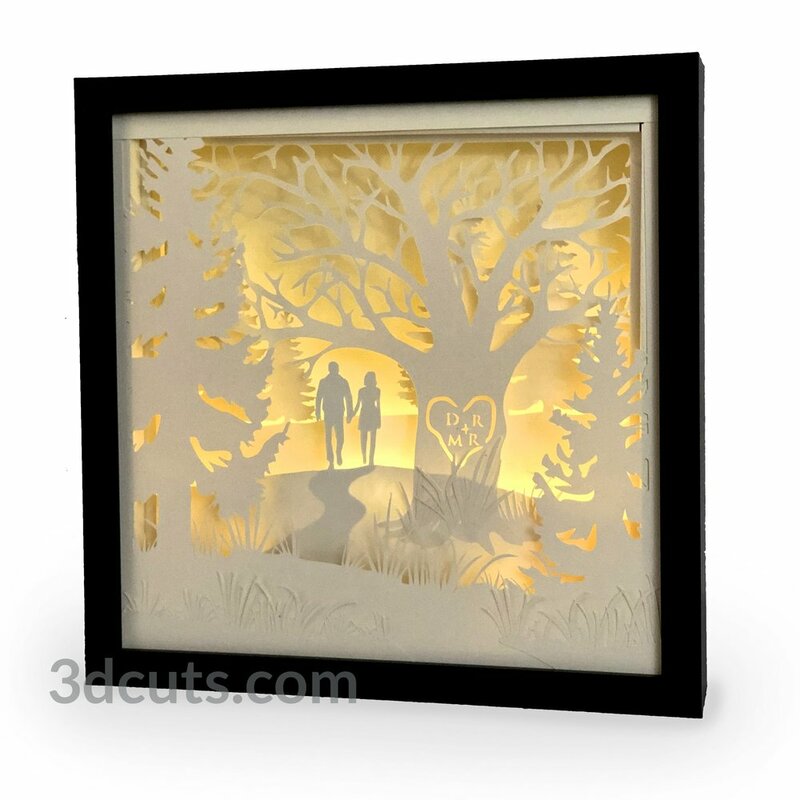 I decide to try this with the Heart in a Tree Shadow Box. It did require a complete redesign of all layers and a compressing from 5 layers down to 3 main layers plus the back ground. Here it is a standard 11 x 11” shadow box. I provided links in the tutorial on the exact frame I designed this for . Additionally I designed this to be customizable in two ways. First the download includes 3 sets of couples - female/male, male/male and female/female. Choose the file that reflects the couple you are making this for. And again the download includes the entire alphabet in a carved font so you can customize the tree. The files are available on the store starting today.